Braithwaite’s bedrooms and interior’s has over 12 years experience of designing, manufacturing and installing high quality bespoke interior fitted furniture, to a very high standard. We offer a fast, friendly and reliable service tailored to your personal requirements. With no pushy salesmen or expensive showrooms, we offer very competitive prices. Complete with a wide range of colours and materials to choose from. Our service and workmanship is second to none. 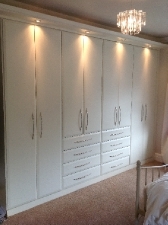 Welcome to ‘Braithwaites Bedrooms’, we are based in Burnley and have over 10 years’ experience of designing, manufacturing and installing high quality bespoke interior fitted furniture to a very high standard. We offer a fast, friendly and reliable service tailored to your personal requirements.